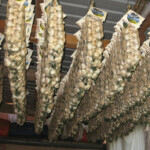 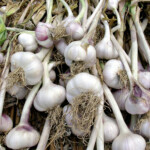 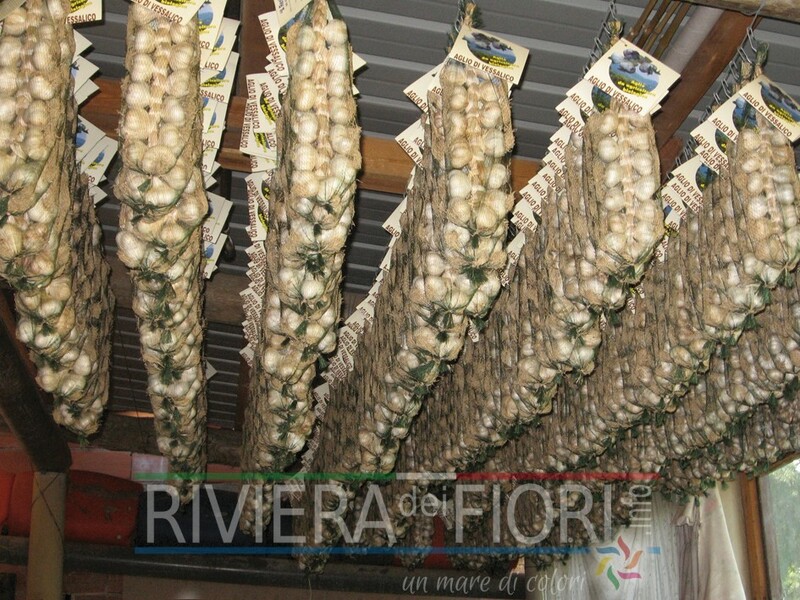 Garlic from Vessalico has become famous in recent years after the American CNN network ironically commented on its great use in Italian cookery and the British BBC network commented that “garlic from Vessalico is better than Viagra”, thereby causing an actual hunt for the product throughout the country and an increase in sales. 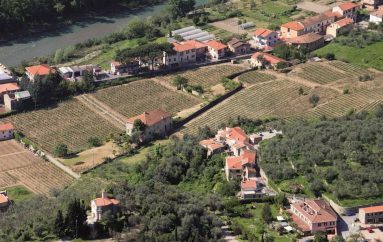 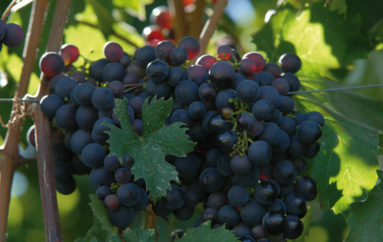 Unfortunately, the quantity available on the market does not meet demand, as it is very difficult to cultivate the small terraces clinging to the side of the mountains in West Liguria where it only grows over seven hectares. 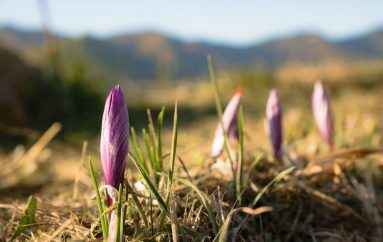 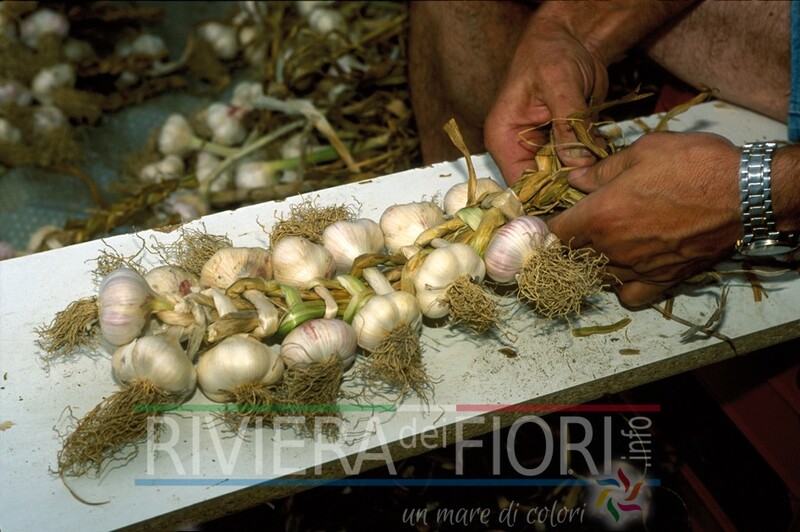 The work is simple, but very tiring: furrows are dug by hand; the cloves are planted after one night’s soaking (the bulbs have been passed down from generation to generation), it is then fertilised and finally the plants are picked and plaited to make the typical ‘reste’ (strings). 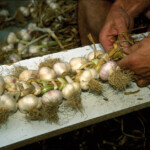 The essential ingredient of traditional Liguria pesto, the garlic is promoted in some initiatives, such as the traditional ‘Fiera dell’ Aglio’ (Garlic Fair), which takes place in Vessalico on 2nd July of each year, and with its appearance at the Salone del Gusto in Turin, as a Slow Food product to be safeguarded, as it represents a limited, but very important resource for the small towns of the Valle Arroscia. 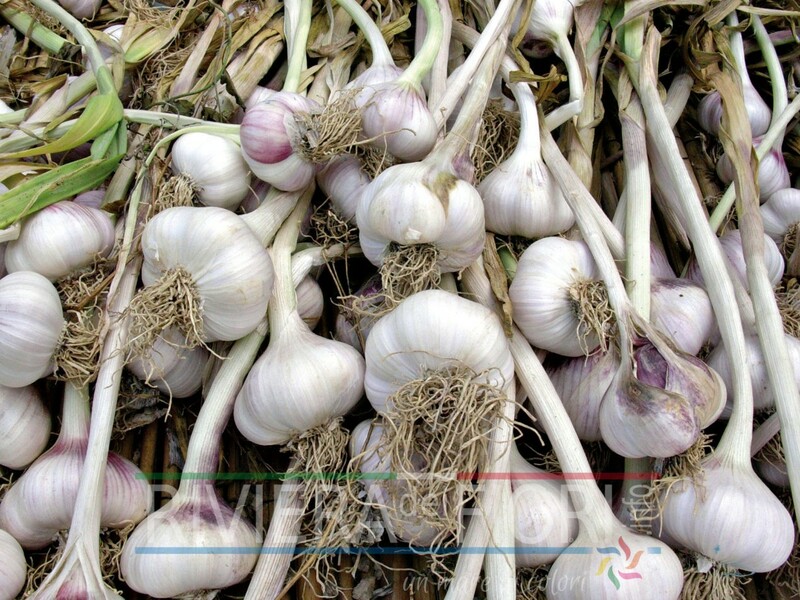 Garlic from Vessalico is considered by chefs to be the ‘Rolls Royce’ of the different varieties available and many home and local restaurant kitchens show it off as a decorative element.